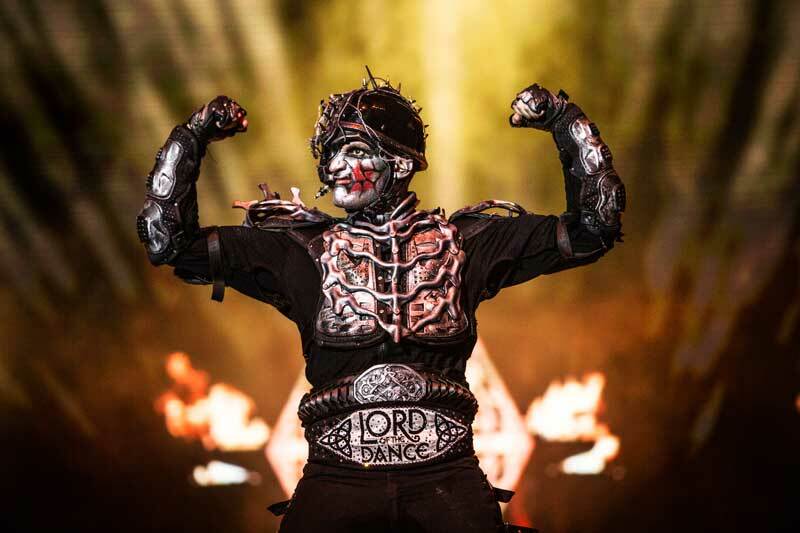 Tom Cunningham plays the Dark Lord in Michael Flatley’s Lord of the Dance: Dangerous Games. 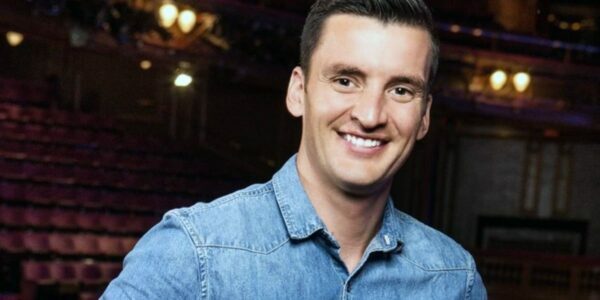 Tom has been with Lord of the Dance for over 20 years and was first introduced to Irish dance at the age of five. He was kind enough to sit down and answer a few of my questions on travel, his life as a dancer, and more. As a person who’s been to countless Broadway shows since I was 10 years old, interviewing a professional dancer is something I’d never expected to do, but I’ll definitely take it. As I mark off this personal accomplishment, let’s take a real look at the life of a touring dancer, the things he’s picked up while traveling, and more. This post is part of our series on People who travel. A special thanks to the Durham Performing Arts Center (DPAC) for introducing us to Tom Cunningham and for all their help in making this interview happen. Featured image courtesy of Irish News. All others were provided by DPAC. Christina Riley: How has travel influenced you as both a performer and a person? Tom Cunningham: Travel has made me a more open-minded person. I’m more willing to try and experience new things because of the different places that I’ve been. As a performer, travel has given me a chance to pick up new movements as a result of watching local dances. Maybe, it’s a turn from Russia or a step from Turkey, but as I travel, I pick up little bits and bring them back with me. CR: When you first started touring, did you have any fears of travel? TC: When I first started traveling, I was very young. I had just turned 18 and the world was a bit of a bigger place. At that stage, we didn’t have the internet—or even cellphones—I would be looking for a phone box to call home or getting a calling card and scratching off numbers on the back so it wouldn’t cost me so much. It was completely different. When you’re out and abound on your own you’re a little bit disconnected. It was a little scary at first. Especially in places like China, where people may have very little English. You have to communicate by looking, pointing, and very reluctant to throw yourself in there at first. But the more you travel, the more you get used to it. And now I feel that I actually go out and search for those moments where we don’t have an English menu. You have to go off and get off the beaten track. When you first encounter those moments, you can be unsure and a little apprehensive and worried. But I think you get over that very soon. My advice to anyone would be to embrace those moments. They’re beautiful. Don’t be fearful. Obviously, be cautious. Don’t be stupid when you’re traveling. Unfortunately, there are some bad people out there, but they are definitely in the minority. Every single country I’ve been to, the good people outweigh the bad people. CR: Have you had any unexpected meetings that have impacted you along your travels? TC: Earlier in 2018, when we were in South Africa, we happened to meet a nun from Ireland. And she was so interested to meet some Irish people and Irish culture. We actually found out that she taught at an underprivileged school at Soweto near Johannesburg. Because she didn’t know any other form of dance, she wanted to give these kids a taste of something different. They didn’t have the opportunity to travel or see anything past their own neighborhoods, so she decided she’d start teaching them Irish dancing. We decided that we’d take a group of us from Lord of the Dance to the school and meet this nun and some of these kids that she had been teaching. Honestly, the kids had the best time. I had never seen smiles so bright in my entire life. But really, I think that the group of us who went took away more from it just to see how happy the kids were to meet just a couple of guys off the boat from Ireland and get to interact and have a good time and teach them a few little steps. It was just a room full of happiness and enthusiasm. You can see that these kids don’t have very much, but you could see just how happy they were. It’s just incredible. It was honestly one of the most moving moments I’ve ever had while touring and it just came from this chance encounter. CR: What do you look forward to while traveling? TC: When we’re touring, we don’t always get a ton of time to explore. So, my wife and I will make a hit list of what we want to accomplish when we’re in various cities. Even when we travel for leisure, we still plan ahead to make sure we make the most of the time that we have. But, for me, it’s always the FOOD! I love trying whatever the local cuisine is. When we’re in China, you won’t see me at a McDonald’s. I’ll be in the alley around the corner from the hotel at the guy pushing a cart making us a stir-fry or whatever the local guys are trying. When we went to Mexico, they told me I had to try grasshoppers and all sorts of different insects. They told me it was good, and it was good! Open your mind a little bit. When we are traveling we do try to hit the big sites and the most famous thing, but I also think it’s best to get off the beaten path and try something new, especially when it comes to food. Go to where the local people go, and not the place with all the chairs at the piazza. 99 percent of the time, you’ll never go wrong if you follow the local people. CR: What advice would you have for a young dancer aspiring to travel the world and accomplish what you have? 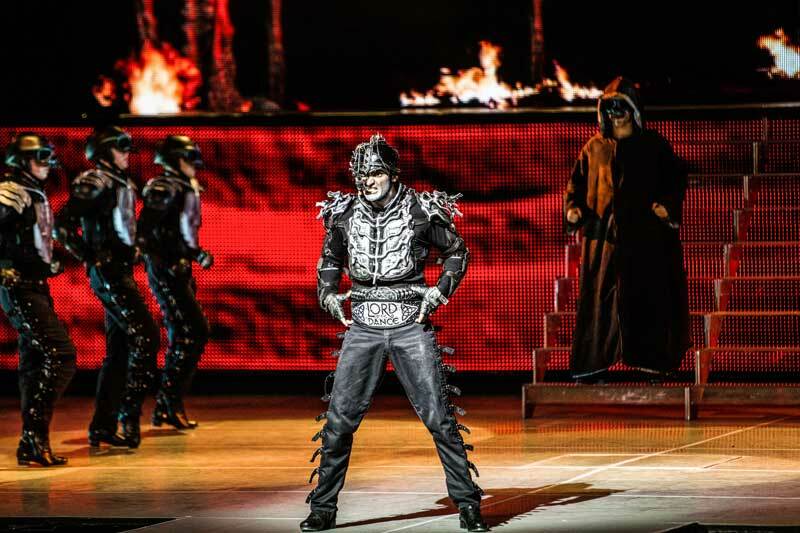 TC: My boss, creator of the show, Michael Flatley has a tagline of, “Follow your dreams” and I definitely agree with him. Do what you want to do. As an Irish dancer you’re traveling the world you may never become a multimillionaire—you do okay—but you become enriched in so many other and better ways. You have your eyes opened. You become a better and richer person because of it. I couldn’t have been luckier because I’ve spent so many years traveling the world bringing Irish culture to all sorts of far-flung corners of the world and doing what I love in Irish dancing and being able to travel. Do what you want to do and do it with pride. That last sentence really resonated with me, as I continue taking the leap with writing, photography, and everything else I’m seeking out. Loving what you do can be a challenge, no matter what you’re doing. I really appreciate Tom Cunningham taking the time to talk with me and enjoyed seeing them in action! The world tour of Lord of the Dance: Dangerous Games started September 27, 2018, in Bangor, Maine and Tom and the cast performed at DPAC in Durham, North Carolina on October 11, 2018.